Blue Ridge Lumber accepts cash or checks only for payment. We do not accept credit or debit cards. Our mulch is a natural byproduct of the log. We do not dye our mulch. Color is contingent on the time of year and will vary from light to dark brown. It is sold by the scoop only, which is a 2¼ yard bucket and fills an 8 foot bed on a pickup truck. Sawdust is sold by the scoop only, which is a 2¼ yard bucket and fills an 8 foot bed on a pickup truck. At certain times of the year the sawdust may contain Walnut. Please check prior to loading if it is for horses. 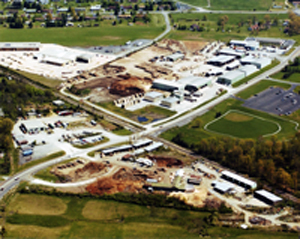 A 50% deposit is required when placing the order and/or prior to the mill cutting the lumber. Lumber costs vary according to species and dimensions. Green lumber will be cut Sound Square Edge, free from shake and unsound knots or a combination of admissible defects that seriously impair the strength of the piece. We will admit firm heart center, well boxed hearts, season checks, pin holes and worm holes. 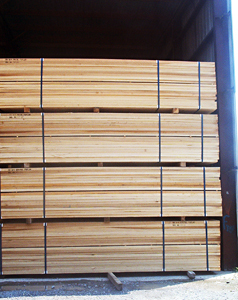 Lumber costs vary according to species, thickness and grade. Please see Kenny in the retail shed for availability and pricing. Large inventory available for cash and carry.